Beth gets a pretty steady stream of Potassium Chloride solution. 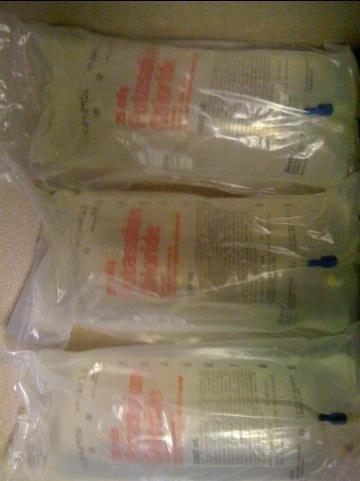 I imagine the fluids help mitigate the effects of the chemo. And judging from how Beth is feeling today (tired, achy, nausea), it is not helping much.